Product of a family split down the middle in everything, from political views to New England/New York sports teams, Kayla grew up learning to never talk about politics or championships at the dinner table. During college in Burlington, Vermont, she ran her own campaign to be part of the student government association. From the design of flyers, to the production of videos for social media, together with plenty of schmoozing with peers, college administrators said it was the strongest full-fledged campaigning they’d ever seen for the association…perhaps because it was the first time a student had ever taken to campaigning. Either way, she took it as a compliment! Kayla thought it was a no-brainer: run for office = you need a strong campaign. “I remember watching the Obama / McCain election of 2008 when I was in high school – it was a critical time shaping my political views, decisions for what to pursue in college, and expectations for future campaigns I would actually be able to vote in,” said Kayla. “I remember acknowledging how the iconic ‘HOPE’ portrait of now-President Barack Obama, designed by graffiti artist Shepard Fairey, and the rest of his campaign materials drew in the millennial population. He captured an audience that, though they weren’t old enough to in 2008, voted for him in 2012.” The New Yorker art critic Peter Schjeldahl called the poster the most effacacious American political illustration since ‘Uncle Sam Wants You’. “I knew I wanted to create content that moved people like this. That’s why I studied marketing, communications and graphic design. That’s why I ran for a cabinet position in student government. That’s why I am proud to work with Miranda Campaigns,” she noted. 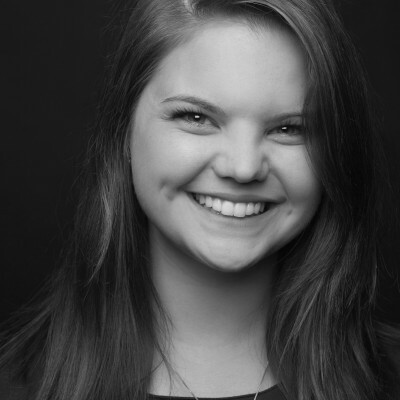 In addition to account management, Kayla will work on digital and print design, public relations items, and more.